reduced knee pain + Balance Kiteboards! Being an older freestyle/wakestyle rider, leaving the water hobbled from knee pain has long been part of both kiteboarding and wakeboarding for me. Over the years I have tried many board options, played with stance and added extra padding under heals ect to gain better anatomic positioning to reduce knee strain. In recent years board sports such as snowboarding and some wakeboarding companies have realised the benefits of appropriate stance, flex and knee alignment, some of this has been achieved through boot/binding combinations allowing for a more forward, slightly flexed positioning, which actively recruits the stronger quadriceps muscle group along with the glutes to take some of the load and act as better absorbers of shock as opposed to the knees being directly involved. As most of you will know I have been a Team rider for Slingshot for many years but have recently changed sponsors. This has allowed me to test many boards and find the right combination for me. In the past I have been riding Underground boards which have been customised to look like Slingshot production boards as the Slingshot Board line, albeit well designed and performance based, unfortunately did not have a board that didn't hurt my knees even after the shortest of sessions. I tried many boards including the new Underground and Cardboard range but found the right amount of flex, stance options and performance without the knee pain in a relatively new company - Balance Kiteboards. I ride the 135 Team Wide edition with boots and have been really enjoying the pop and drive this board has combined with very light weight construction. It is slightly narrower in the tips than most boards of its size and at first I thought this would be a concern for powered landings etc, but it seems to be well balanced and the narrow tips has not affected my riding, if anything I seem to landing more often. The Alvero Pro edition board, is my footstrap option for when the conditions don't suit riding in boots! It is has been designed by one of the world's best freestyle riders in Alvero Onievo who was a consistant podium finisher in recent PKRA tours. If he can bust on it, it is more than handy for my level and again the construction and flex pattern leave me walking after hard sessions in choppy slop using Mystic off the shelf Pads and Straps as opposed to having to ice and rest my knees. These boards are relatively new into the country and if you would like to know more checkout either www.balancekiteboards.com or get in contact with Joe and Mel from Adrenalin Rush Sports Australia www.kiterush.net as these guys are importing them and looking to get more riders on them around the country. Sound interesting. 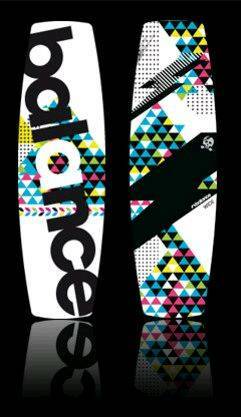 wondering if (in way of a disclaimer) this awesome new board you found is by coincidence from your awesome new sponsor? I'm at home with a real sore back. Got a board to help with that? knees are also an issue. i'm so old and sad.. Still my choice in the end! But I always base boards I ride on how my knees feel during and after riding. I have had 4 operations removing most of the cartilage from both knees and my Left knee has no medial ligament. So it is very important to me to have a board that not only performs but doesn't cripple me in the process. I am lucky that I have been given the opportunity to represent this company and ride their boards. If my knees didn't approve, I would not have posted this review and I would still be looking for a board option! Nice to hear from you, hey nice riding at The Nationals man, well done! 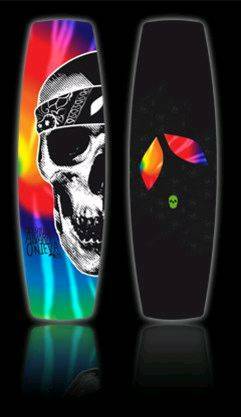 I would suggest try the Pro Team Wide edition, I use this board everyday with boots, however have not hit rails with it yet, that is coming though, we will be finishing the build on a couple of the rial jam features and will be testing them over comings weeks, so I can let you know. I think this board will do well with a kite but as for cable, it is still way to flat with not much rocker hey! If you are just sliding/grinding etc and not hitting kickers or flatwater tricks it will work fine, you may find it will take a bit of practice for swapping edges on the go, due to the flat rocker, but it will press easy as it has heaps of flex in the tips. Let us know your thoughts and for sure man I am looking forward to the rail Jam, PM me if I can help out anywhere with you accomm etc. I will have a word with ARSA and see what the scoop is for team....still very new, so not much has been laid down yet! If your in the market for a new board then be sure to demo one. Umm, why? Have you ridden one? What was it like? Yes i have been using a demo on and off for the past couple of weeks. I like the fact that its a fairly stiff board, effortless up wind. The one i have been using has the old model pads and bindings but like the new ones as well. Reasonably soft ride in chop. I ride an Octane and most of last week end it blew between 20 and 30 knots and after about 10 to 15 hours over three day of riding it my knees are still in one piece. I have just ordered one today From K.P. in Bris. Why the hell would i say to demo something i havent tried. My point was that if you have tried it then I'd be glad to know your impressions. What was it good at? Not so good at? Compared to other well known boards? You know, the sort of stuff that people write in gear reviews. Well for someone who has been kiting for the short time i have i dont think that my review on a board would be up to your standard. All i know is i have tried quite a few boards over the past few months and found the Balance in my opinion and for my use to be the best so far hence the comment if you are looking for a new board then its worth giving one a try. Hey Jas73, I didn't mean to bite your head off, I genuinely wanted more information. Even if you're less experienced it's good to post feedback. It makes the feedback even more useful to include your skill level, style of riding, size, conditions and what gear you've compared the item with, and of course, disclose any sponsorship or other allegiances.